The arrival of New Year provides a chance to take stock, make plans and look to the future with a positive frame of mind. 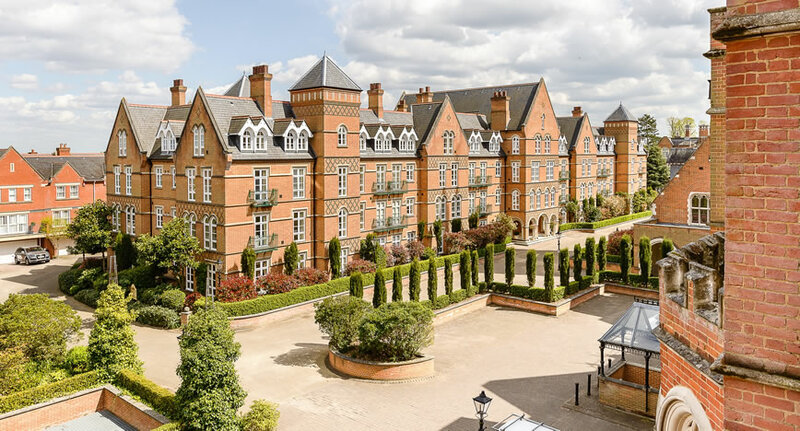 For many, this will include the excitement of finally planning to buy their dream home overseas, providing the perfect antidote to the months of grey, chilly weather on offer in the UK. In that vein, Chris and his team have put together their 16 top tips on buying a home overseas in 2016, to help buyers turn their dreams into reality. Investigate on the internet – research potential areas thoroughly, rather than individual properties. Find out about local amenities, from beaches to restaurants, based on your priorities. Think about how those priorities may change in the future as well – a holiday home bought this year could serve as a retirement pad later on, so what facilities would you want on hand then? Don’t fall in love with a particular property until you know the location is right for you! Use an agent with form – opt for an organisation with a good track record. Make sure they have been in business for some time and have a long list of satisfied customers happy to speak about their experiences. Budget carefully – buying overseas isn’t just about the property price. Be aware of the buying costs like fees and local taxes. These can vary hugely from country to country, so do your research and budget accordingly. Plan a trip – once you’ve identified the places you like on the internet, hop on a plane and check them out for yourself. 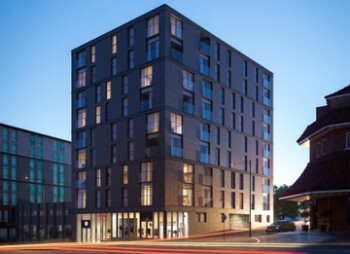 You will quickly be able to get a feel for whether or not a place is right for you and a few hundred pounds invested at this stage can serve extremely well when it comes to finding the perfect location for your new home overseas. Know what you want BEFORE you visit – think about how many bedrooms you need, whether proximity to the beach or a local golf course is important to you, whether you simply must have your own pool and whether the local supermarket can be reached on foot or by car. Whatever your preferences, have them firmly fixed in mind before you visit – and be sure that your agent understands them too. This will ensure that he/she is able to show you properties that perfectly suit your requirements and avoid wasting time spent touring unsuitable homes. Think about the journey – work out the journey from your current home to the area in which you plan to purchase. What are the flight times and costs like? Is there just one airline that flies into the local airport or several? Can you hire a car easily upon arrival if you need to? These factors will impact on how relaxed you are by the time you arrive at your overseas property each and every time you visit, so think the journey through in detail. Find a reputable lawyer – this is one of the most important elements of buying a second home overseas. A good agent should be able to recommend a reputable lawyer, or you can do your own research on the internet and by speaking to others who have bought property in the area. Chat on the phone with the lawyer and meet him or her when you visit – test their knowledge and be sure to choose someone you are comfortable with. Think about money matters – once you’ve bought your property, you will need to get money out to that country regularly in order to pay bills, take care of maintenance issues and so forth. Look at what you need to do to set up a local bank account and plan to do this as early as possible in the process. Bear in mind that many overseas banks also have a branch in London where you can take care of some of the initial paperwork should you need to do so. Remember the insurance – before you commit to purchasing a property, check that it is insurable and at a reasonable rate. If the area that you like the look of is prone to flooding or sink holes then it might be time to look elsewhere. Ask about hidden requirements – speak to your agent and conduct your own research online to ensure that you know everything you need to. In Portugal, for example, you need a fiscal number in order to purchase a property. You can get one quickly and easily from the local Finanças department for a small fee – or you can appoint a lawyer to take care of this on your behalf. 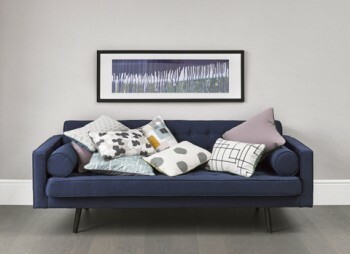 Consider other significant expenses – what other expenses might your property purchase give rise to? One of the most commonly overlooked items is the need for a car, so think about whether you can access your new home on public transport, whether you will pay for a hire car each time or whether you would prefer to purchase a car of your own overseas. Is the property just for you? – if you plan to rent your property out as well as using it yourself then be sure that it appeals to a wide range of holidaymakers. Neutral décor and access to a pool can make a big difference to the number of people choosing your holiday home over another one. Speak to the experts – join some online forums and Facebook groups and chat to those who have already purchased in the area you like. Even better, find people who have moved fulltime and benefit from their experiences of local life. Know the market – understand price trends in the country and region you like in order to know whether or not your expectations are realistic based on your budget. Knowledge of local prices will also help you to gauge whether you are paying over the odds or picking up a real bargain. Think about maintenance – unless you are planning a permanent move, you will need to consider how best to maintain your property from afar. An isolated villa might be your dream holiday home, but an apartment on a managed condominium might present far fewer headaches in terms of regular maintenance, particularly if you plan to rent it out as well as use it yourself. Use an agent who does it all – find an agent you trust and who can offer you the whole package. They will be able to support you with every step of the process, from finding a reputable lawyer to arranging an inspection trip. This can often be by far the quickest and cheapest approach – and also the least hassle! Britain’s love affair with Spanish property took some serious knocks when the market crashed back in 2008/09, but the latest figures show that Brit’s fondness for Spanish homes has far from faded. In fact, British buyers are surging back to locations like the Costa Blanca in droves. The impact of buyers from overseas in such popular tourist areas is not to be underestimated. According to the latest Alicante market report from Data.kyero.com, median property prices in the area increased by 19.07% in the year to October 2015, with sales to international buyers accounting for 51.88% of transactions (as at Q2 2015). More than 34 million passengers flew from the UK to Spain in 2014, representing almost a quarter of all travel to EU countries, according to the Civil Aviation Authority. And in early 2015, figures from Rightmove revealed that 48% more Brits were searching for property in Spain than they were a year before. When it comes to the property market, Spain is enjoying a sustained recovery. Property sales totalled more than €24 billion during H1 2015 based on figures from the Ministry of Development, with transactions up by more than 10% when compared with the same period in 2014. Brits looking to buy along the Costa Blanca have a wide range of options open to them. Prices in Spain remain below their 2007 peak, meaning there are some real bargains to be found. A three bedroom, two bathroom apartment with roof terrace including built in BBQ in Torrevieja can be picked up for just €96,000. You can even gaze across the rooftops to the sea for that price, with the beach just 100 metres away. A two bedroom Costa Blanca seafront apartment with communal pool is only a little more, at €128,000. As a frontline property, the views are stunning and there are plenty of restaurants and shops nearby, as well as a weekly market. 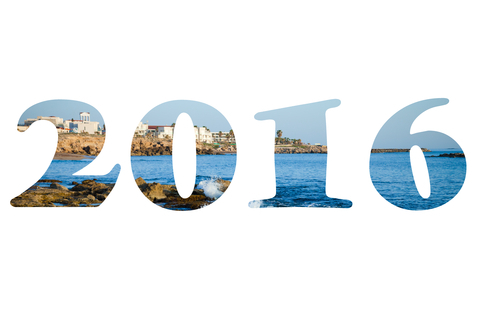 From winter sun chasers to those looking for a more permanent residence in Spain, the scene is set for the Costa Blanca to enjoy an exceptional year in 2016. The turning of the year is always a good time to start dreaming of sun-drenched beaches, the sound of the ocean lapping at the shore and lazy evenings spent eating al fresco while a warm breeze rustles through the leaves of nearby citrus trees. It’s a particularly popular pastime in the UK, where it can rain for days on end while plentiful sunshine is available less than three hours away by plane. Chris White also runs boutique estate agency Ideal Homes Portugal and has chosen to make Portugal his home. It is there that he recommends buyers with €150k look for their dream holiday home in 2016. Portugal’s Algarve is easily reachable from airports all over the UK and offers in excess of 300 days of sunshine annually, making it an ideal year-round destination for second home owners. 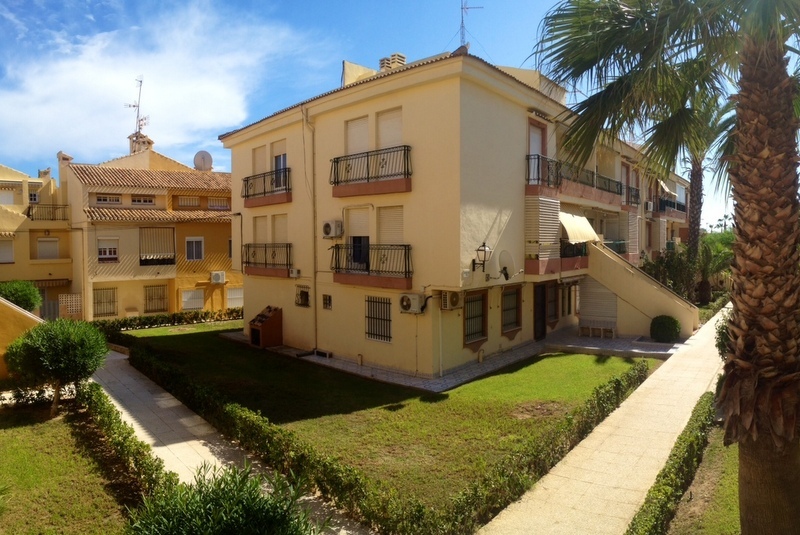 €150k is enough for a two bedroom apartment with huge terrace and garden in the popular city of Portimão, or a three bedroom duplex with pool in Albufeira. 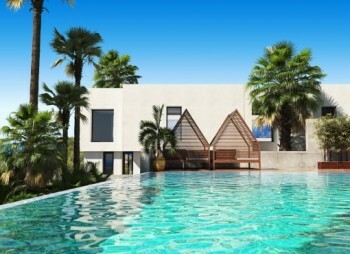 Taylor Wimpey España offers a range of stunning holiday homes on Mallorca, from two bedroom apartments with direct beach access from €235k at Costa Beach, to spectacular frontline townhouses with cliff top communal infinity pool from €625k at Cala Magrana Mar. With such a wealth of property available so close to home, it’s clear that short-haul European destinations are going to enjoy immense popularity during 2016 when it comes to holiday home ownership overseas. 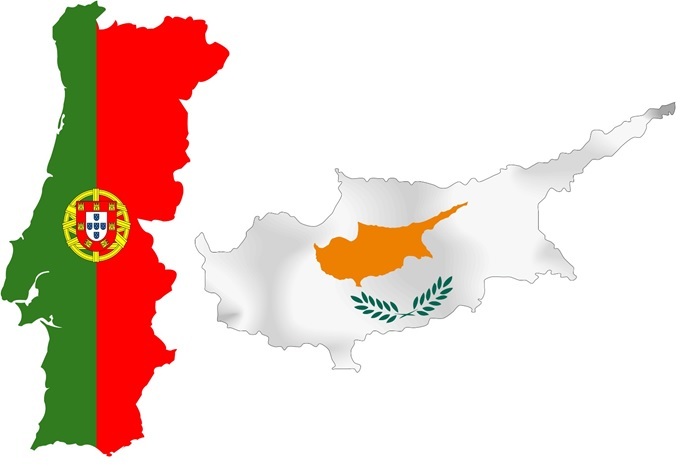 Portugal v Cyprus – which makes the best second home location? With more than 300 days of sunshine per year, stunning beaches and a wealth of good value luxury property, Portugal and Cyprus have a great deal in common. So which makes for the better second home location? According to the Post Office Worldwide Holiday Costs Barometer 2015, Portugal’s Algarve is Europe’s cheapest beach resort. In terms of overall holiday cost, Portugal took the number two spot in this year’s survey, while Cyprus was in ninth place. But while cost of living is an important consideration for second home owners, a host of other factors also come into play. Portugal enjoys extremely easy access from the UK, with a host of budget airlines (including easyJet, Tap, Monarch, Ryanair and Flybe) offering regular, year-round flights of around two and a half to three hours in duration. Budget airlines also fly to Cyprus throughout the year, with a flight time of roughly four and a half hours. Climate-wise, both Portugal and Cyprus have long, hot summers. According to Holiday Weather, Cyprus’ popular city of Paphos averages 26°C in August and 13°C in January and February. Portugal’s Algarve averages 24°C in July and August, with a low of 12°C in January. So Cyprus just takes the lead when it comes to climate – an important consideration for weather-obsessed Brits. Portugal has the advantage when it comes to a supply of clean, family-friendly beaches, netting 299 Blue Flags during the last round of awards, compared to just 57 in Cyprus. However, Cyprus may just have the edge when it comes to sea temperatures. Both countries are blessed with powdery sand and remarkably un-crowded coastal spots, even in the height of summer (if you know where to go). Yet Cyprus’ Mediterranean waters enjoy an average sea temperate of 27.8°C in August (Paphos area), while Portugal’s Atlantic temperature averages just 20.8°C – a big difference for those who enjoy splashing around in the waves. Both Cyprus and Portugal also offer tax incentives to foreigners who may be considering buying property or moving there, which are an important consideration for those looking at a second home as a potential retirement option. Portugal’s non-habitual residents regime can offer tax-free living for up to ten years for those claiming pensions from overseas, as well as for certain other types of income. Meanwhile Cypriot President Nicos Anastasiades this summer announced a 50% cut in property transfer fees as part of a raft of measures designed to attract high net worth foreigners to his country’s shores. Both countries also offer a citizenship-by-investment (golden visa) programme, allowing wealthy foreigners essentially to buy the right to residency and to travel freely within the Schengen Area. 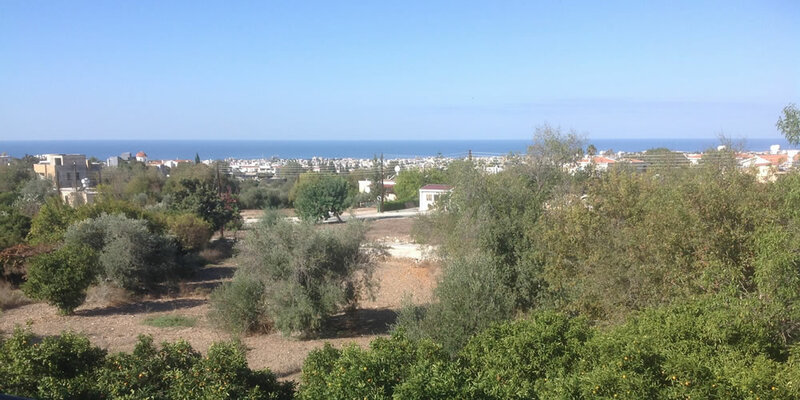 Cypriot citizenship can be obtained for a €300,000 real estate purchase. Portugal requires an investment of €350,000 to €500,000, depending on the location of the property being purchased. Both programmes have been influential in attracting Chinese, Russian and Middle Eastern buyers. 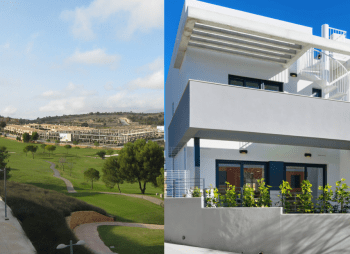 By way of comparison, €150,000 is enough for a two bedroom townhouse in a gated condominium with adult and children’s pools in Branqueira in Portugal’s Algarve. Over in Paphos, the same money is sufficient for a modern, two bedroom townhouse with veranda, roof terrace and shared pool. Both are fantastic value for those buying with sterling.